The first disc contains the touring documentary. If you've watched any of Clown's directorial work, then you generally know is style: very schizophrenic. This one is no different, as the cuts come quick and fast. This is probably the most personal doc the band has released, as it generally shows most of the guys enjoying themselves and having a good time. The good times are interspersed with rough live concert clips and pre-show rituals. It's an enjoying watch, but the final cut feels too short, and you just simply didn't learn enough about the band. The meat of the second disc is the Download performance, which consists of a greatest hits collection of the band's four records. The video is quite good, but someone went cheap on the audio side. Mainly, no 5.1 digital audio. Now this was a show practically screaming for surround sound. It sounds perfectly good in regular old stereo, but the ball was really dropped here. Then, the second disc ends a collection of videos from All Hope Is Gone and a "making-of" for the bizzare Snuff video. (sic)nesses is a pretty decent look at the band, but previous Slipknot dvsd's just knock this one out of the park. Disaserpieces had better sound quality, while Volimnal shows a more personal side via one-on-one interviews. 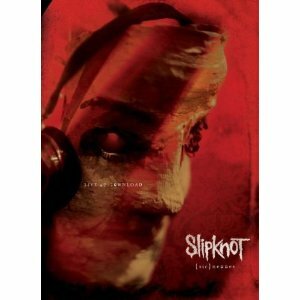 If (sic)nesses is your first Slipknot dvd, then you're ready. But if it's your third of fourth dvd from the band, get ready to be slightly dissapointed.